Controversial evangelical pastor Brian McLaren has come to the defense of Rob Bell, taking on R. Albert Mohler, Jr.’s critical review of Bell’s new book, Love Wins, in a recent blog post. This entry was posted in Brian Mclaren, Heresy, Rob Bell, The Expositor on 23 March 2011 by theexpositor. Brian McLaren speaks at Baylor? This comes from Apprising Ministries, that heretic Brian McLaren is to speak today, 22 March 2010 (as Im writing this post) at Baylor University, which was at one time considered a Southern Baptist University. I agree with my brother Ken Silva on this. Dr. Brian McLaren, a Christian author, speaker, blogger and networker, will present his lecture “Beyond Absolutism, Pluralism, Relativism” at 7 p.m. Monday, March 22, in the Alexander Reading Room on the Baylor campus. Concerning McLaren as “author, speaker, blogger and networker,” I’d also add heretic. 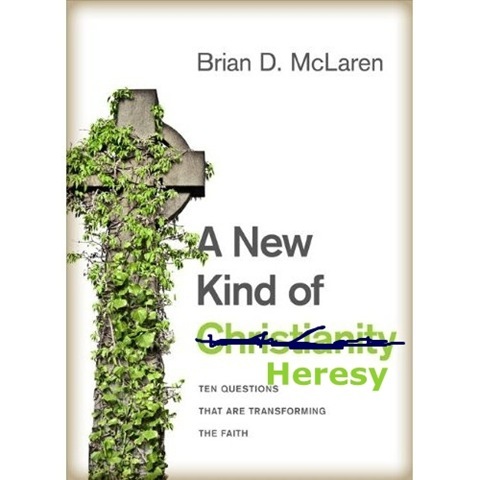 The fact is, his A New Kind of Christianity begins laying out systematically the postmodern form of progressive/liberal theology aka Emergence Christianity—Liberalism 2.0—McLaren personally believes; and because he’s done so we can now clearly see that Brian McLaren has now departed from anything even remotely resembling the historic, orthodox, Christian faith. This entry was posted in Apostasy, Brian Mclaren on 22 March 2010 by theexpositor. This entry was posted in Albert Mohler, Brian Mclaren, Emergent Church, Films/Video, Postmodernism, R.C. Sproul, Ravi Zacharias on 18 March 2010 by theexpositor. 12 articles from the Canons of Dort on how great a salvation; the significance of Lent; the leatest heresy courtesy of Brian Mclaren. This entry was posted in Apostasy, Breaking News, Brian Mclaren, Church History, Emergent Church, Reformed Theology, Steve Camp on 23 February 2010 by theexpositor. Also the latest news including the most recent heresy by Brian Mclaren. This entry was posted in Brian Mclaren, Church History, Current Events, Reformed Theology, Steve Camp on 20 February 2010 by mcp.